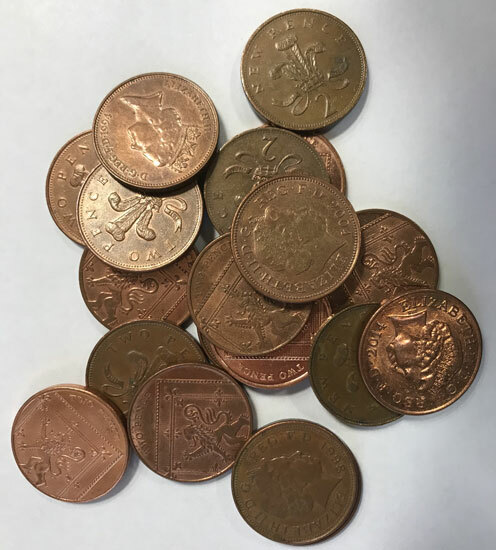 There has been a great deal of media hype regarding the value of 2 pence pieces recently and consequently we have received a great deal of interest from the general public on this subject. What the newspapers and websites failed to mention is that the majority of 2ps are only worth their face value of 2p. The ONLY exception is if you have one of the highly rare error reverses. In 1982 the words ‘NEW PENCE’ were removed by the Royal Mint from all 2p coins and replaced with the words ‘TWO PENCE’. There were however a number of 2ps struck in 1983 with the incorrect reverse inscription ‘NEW PENCE’. Consequently the only 2p coin to be worth more than its face value of 2p will be dated 1983 AND will say ‘NEW PENCE’ on it.